An important aspect of chronic neurodegenerative diseases, such as Alzheimer’s, Parkinson’s, Huntington’s or prion disease, is the generation of an innate inflammatory reaction within the brain. 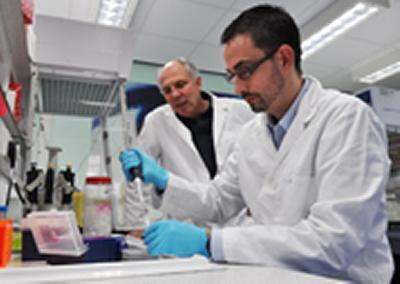 Dr Diego Gomez-Nicola, from the CNS Inflammation group at the University of Southampton and lead author of the paper, says: “The understanding of microglial biology during neurodegenerative diseases is crucial for the development of potential therapeutic approaches to control the harmful inflammatory reaction. These potential interventions could modify or arrest neurodegenerative diseases like Alzheimer disease. Writing in The Journal of Neuroscience, scientists from the University of Southampton describe how they used a laboratory model of neurodegeneration (murine prion disease), to understand the brain’s response to microglial proliferation and dissected the molecules regulating this process. They found that signalling through a receptor called CSF1R is a key for the expansion of the microglial population and therefore drugs could target this. The research has been funded by a Marie Curie fellowship from the European Union and a pilot research grant from Alzheimer’s Research UK.